Addressing the ministers, Abbas said this mission is hard, adding that the new government will face many challenges, mainly the Deal of the Century, or the U.S. peace plan, whose content has all been declared. He added: "The first challenge ahead of the new government is the "deal of the century". Since 2006, Hamas has been odds with Abbas' Fatah party, which runs the Palestinian Authority, the body charged with governing the Palestinian Territories. 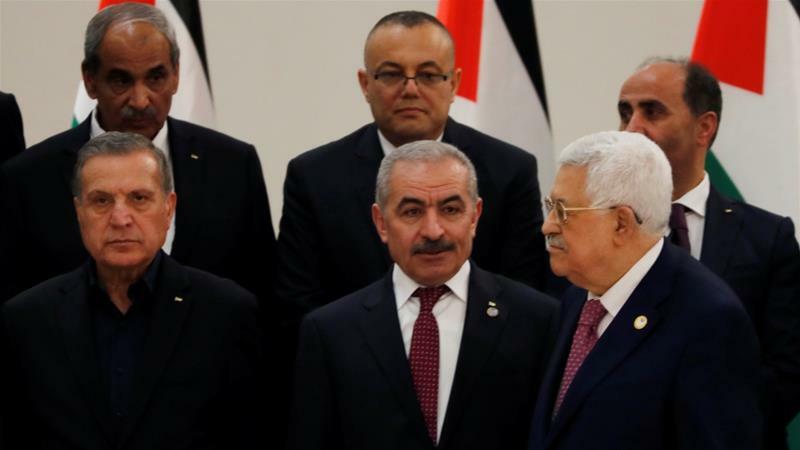 The new appointments "widen the Palestinian division at the expense of the Palestinian people's interests", it said, calling for a unity government that includes Hamas. Ties between the United States and the PA were severed after US President Donald Trump declared in late 2017 that Jerusalem is the capital of Israel and moved his country's embassy from Tel Aviv to the city in 2018. The peace plan is being developed by Trump's son-in-law Jared Kushner, an Orthodox Jew whose close family ties to Netanyahu have heightened Palestinian suspicions over whether the USA administration can serve as an honest broker.